It’s officially spring here in Charleston. The flowers are beginning to bloom, the temps are in the low 70’s, and the no-see-ums are beginning to come out at night. The timing could not have been more perfect as I have finished up several submission pieces that will be coming out in fall of 2019 (more on those later this year!) and I can start planning what I want to make in the next few months. Aside from my own design calendar, which I plan to share in a later post, these are the items that I’d like to make this season. In Charleston, April still has several days that can dip into the lower temps and of course there is the rain. On these days it would be lovely to reach for a light pullover. I’m particularly favoring the Windemere Road sweater for it’s unique construction and the chance to try out Lantern (which I happen to have in my stash). I love the lace stitch used in the Danes pullover and the thought of working with Tern sounds so delightful. I have a few skeins in stash in the Dusk colorway but this light pink is perfectly on trend. And of course, who can resist a perfect v-neck pullover worked in linen. This will be a summer staple - throw it over your bikini for a beach cover up, layer it over a tank for a lunch date, or just lounge on your porch with the perfect glass of white wine. Before we know it, spring will be over and we will be in the midst of summer and in need of some tanks to keep cool. 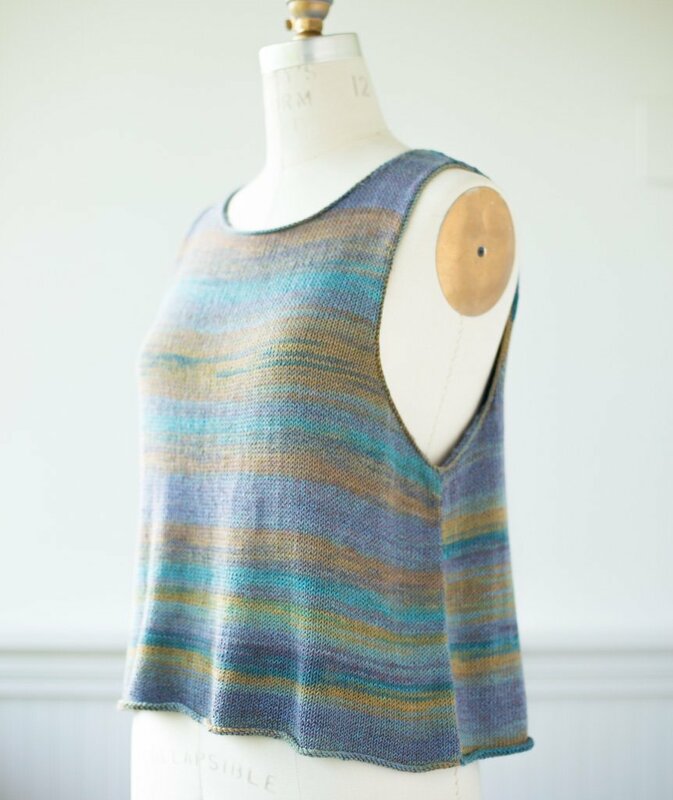 I love the classic silhouette of the Slipover Tank from Churchmouse Yarns & Teas. This is a pattern worth adding to your library for use with all the yarns in your stash. And who can resist the lace challenge put forth in the Shai tank by the Quince & Co design team. I would make one slight modification and knit the lace panel on both the front & the back because why not? Sleeveless Slipover - Shown in Berroco Medina, but I have some other yarns in stash that would look great as well. It’s great to hide a scarf in your purse during these months since you never know when you will be confronted with a cold blast of air conditioning. These 3 scarves have enough interest to keep me knitting them, and I love the mix of fibers. I love Poderosa for a few reasons. First, it combines garter stitch and lace which are two of my favorite things. Second, it’s the perfect project for some stash busting. I’ve been eyeing the Ribbed Lace Scarf ever since my last visit to Churchmouse (Bainbridge Island, WA). The original version was knit with Shibui Silk Cloud held double, which is just a little too much mohair for me so I love how they re-worked it in the Alpaca Silk. I think the alpaca may still be a little warm for spring/summer so I envision making this in a cotton-blend yarn. And last but not least, who can say no to stripes in summer? I love the texture mix of the Cattail Silk and Line Weight and the endless color combinations you can choose. Ribbed Lace Scarf - Shown in Blue Sky Alpaca Silk, but I have a lovely linen blend yarn that would be perfect for this stitch pattern. 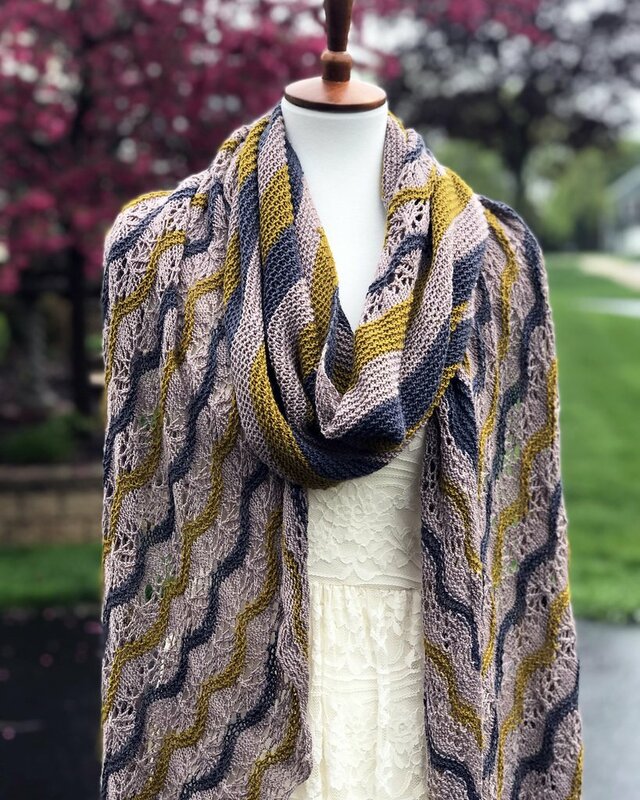 Striped Garter Scarf - Purl Soho’s Cattail Silk & Line Weight blend perfectly for a sweet spring scarf. With all of these amazing patterns out there, it is going to be hard for me to choose where to start but considering I have the lantern in stash I might as well start there! Do any of these designs sing to you? What are you planning to make this season? I’d love to know in the comments below!